The United States Professional Tennis Association Board of Directors and Search Committee has hired industry veteran John Embree as the new CEO/Executive Director. Embree will take the administrative reigns from Tim Heckler, who will retire at the end of the year, after 30 years in the position. Embree will begin transitioning into his role as of Oct. 1 and will be relocating to the national office in Houston on Nov. 1. The association conducted a search for the new CEO/Executive Director, and after interviewing several candidates in conjunction with the executive search firm, GSI Executive Search Inc., the USPTA Search Committee offered the position to Embree. The contract was ratified by the USPTA Executive Committee in late August. “I began my tennis odyssey during college as a teaching professional in Virginia. After more than three decades of working in the sport that I began playing at 6 years old, my career has come full circle, back to my foundation as a grassroots advocate. I am thrilled to have been chosen by the Executive Committee to help lead the USPTA in the years to come,” said Embree. “We are pleased to welcome John Embree into the USPTA family. His vast tennis industry expertise, contacts, and company management skills will serve the USPTA well,” said President Tom Daglis. Embree has held a wide variety of influential tennis industry roles for more than 30 years. They include serving as President of Prince Sports, The Americas; President of Balle de Match LLC; and Vice President/General Manager, Racquet Sports Division for Wilson Sporting Goods Co. Most recently, he launched a tennis consulting practice to assist endemic brands, associations and new corporate entities in maximizing their impact in the tennis marketplace. His client list included the USTA, Intercollegiate Tennis Association, Peter Burwash International, Off the Grid Technologies, and Donnay USA. Embree has served on many national USTA Committees, including the USTA Nominating Committee in 2005-2006 and currently as the Vice Chair of USTA Professional Circuits Committee. 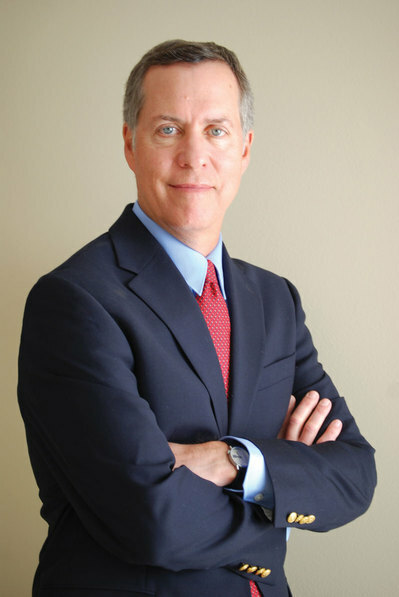 In addition, he recently served as Presidential appointee of the Board of Directors of USTA Middle States section, is a past member of TIA Board of Directors and Executive Committee, member of the Board of Directors of American College of Sports Medicine Foundation, and past President of the Chicago Tennis Patrons Foundation. One of his proudest achievements in tennis was the creation of the USTA Adult League Tennis program in 1980, when he served as the first USTA Adult League Tennis Administrator for two years. He earned a bachelor’s degree from Washington & Lee University in Lexington, VA, and was inducted into the W&L Athletic Hall of Fame in 2005.